Richard Head wasn’t aware there was a blockage in his body that prevented his kidney from functioning properly. He also wasn’t aware that there was blood in his urine, as he was not experiencing any pain or discomfort in these areas. Unfortunately, some health issues do not cause overt symptoms until they’ve turned into severe problems. Thankfully, Richard always visited his doctor for regular check-ups. When he received an abnormal blood check result, Richard’s general practitioner referred him to Dr. Brent Sharpe at Georgia Urology. Dr. Sharpe immediately ran further tests in order to find answers. Their results revealed two large kidney stones that were both seven millimeters in size. With the average size of a kidney stone in the range of three to four millimeters, Dr. Sharpe decided that it would take two separate procedures to resolve the issue. First, he removed the stones. Then he considered another possible cause for abnormal test results, so he performed a MAG3 renal perfusion study in order to see whether Richard’s kidney was also blocked. The MAG3 renal scan revealed that Richard’s right kidney was holding fluid, so he was taken to surgery. Dr. Sharpe discovered a blockage in the last third of Richard’s ureter, which is the tube that drains the kidney. The blockage was in his pelvis. As a temporary solution, Dr. Sharpe immediately placed a stent that aided kidney function. After several additional cautionary procedures, including a cancer biopsy that was negative, Dr. Sharpe determined that a robotic ureteral reimplantation would be needed to permanently address the issue. 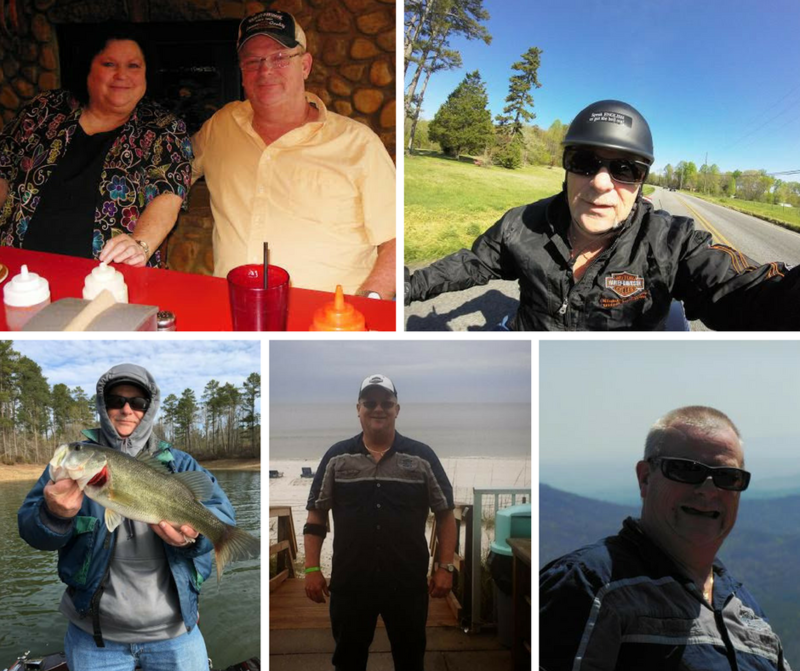 Not only was the surgery successful, but, thanks to the small incisions that Dr. Sharpe made with the robotic device during surgery, Richard’s hospital stay and recovery time were remarkably reduced. If Richard chose to go the route of open surgery, he could have been in the hospital for a week, which may have been followed by several months of recovery time. However, Richard left the hospital the next day after his surgery. In general, robotic surgeries speed healing and as a result, Richard’s recovery lasted only a week. Finally, A repeat MAG3 renal scan was performed after recovery in order to affirm that the surgery had improved the function of the kidney. Learn more about Dr. Brent Sharpe or schedule an appointment with him here.